When I was a kid I won the 5th grade science fair with a clock that was powered by the ions and acid in a grapefruit. As a kid this was a pretty impressive feat, but the truth is the vitamins and minerals in grapefruits can still pack a potent boost to keep your body running. As I see grapefruits used in stores more and more often I think it is a great time to highlight the benefits of a fruit that is one the rise. Appetite suppressant: The smell of grapefruit alone is said to begin the appetite suppressant benefits. The fruit itself is packed with fiber to give a full feeling and help fight the temptation to overeat. The fruit is low on calories so the size and density of the fruit helps your body produce a hormone to release digestive juices that further aids in suppressing the appetite. Vitamin and nutrients: Few fruits give you more bang for your buck! Grapefruit contains a high level of Vitamin C as well as potassium and lycopene. Vitamin C is a front line defense for the immune system and acts as a cold fighter and a blocker of free radicals that can cause diseases from heart attacks to strokes. Lycopene, cause the pink and red coloring of grapefruits and is known for its anti-tumor activity. Research suggests it can even reduce a man’s risk of developing prostate cancer. Digestive aid: Grapefruit makes an immediate impact on indigestion by reducing the temperature and irritation in the stomach. 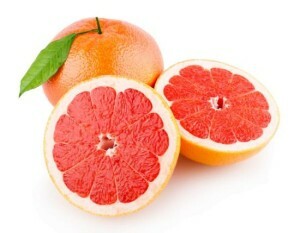 The fiber and pulp found in grapefruit bulks up the bowels to help with the exit process. The acid in the fruit can work as a probiotic to keep things running smoothly and reducing gas. Delicious! In comparison with other citrus fruits, grapefruits are highly underrated. The tart taste can be a turn off for some but ripe grapefruits can mature to be pretty sweet. Grapefruits actually make a great snack on the go, similar to that of an orange. Add a little honey if you still require a little more sweetness. 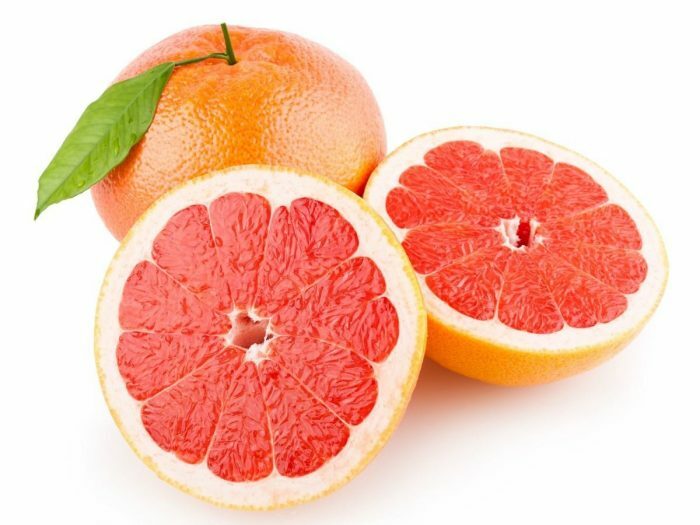 If you want a more developed solution to eating grapefruit check out the links below for some great recipes I love that use grapefruit. The “Good Morning” grapefruit from the Black Walnut Café is one of my favorites and with a sugar rim it provides a combo of tartness and sweetness perfect for a weekend brunch. Information included source: Organic Facts. Check out more benefits to grapefruits on Organic Facts.